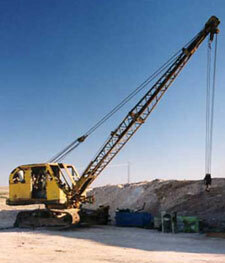 Towable digger, excavator and backhoe website. Features Fleming Micron, Powerfab, Mantis, Benford, Roughneck, Gopher, Smalley, Tow-hoe, Standard Muscleman, Termite, Mitchell Cotts, Mini Gigant, Baromix, Euromach, Bronco, homemade and other small diggers. Links to current manufacturers such as Groupe-FCM and suppliers of plans for the Ground Hawg Homebuilt Backhoe and CDP Excavator. 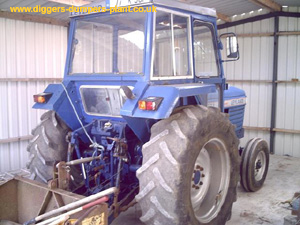 Includes other plant and mechanical information, Digger Bucket Page, Plant Photo Gallery, Dumper Restoration Project and useful links for Digger Spares and Repairs. 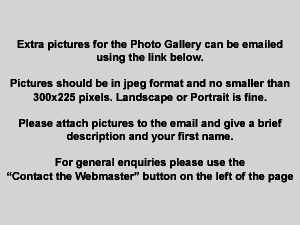 Extra information and pictures to add to the site always appreciated. Also includes a section dedicated to preserving information about Johnson Machinery Limited. Towable digger V. Mini Digger? 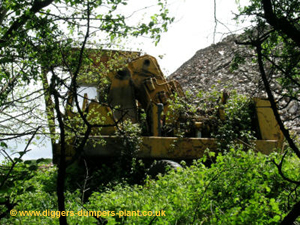 This old Broyt digger was parked by the A38 near Lantoom Quarry before work started on the Dobwalls bypass. I think it was being robbed for spares for this other Broyt. 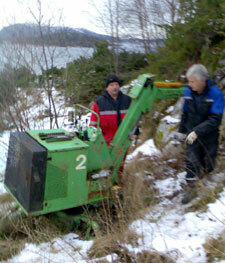 Leyland 272 tractor which is owned by Michael from Ireland who also sent in some pictures of his Fleming Micron digger. 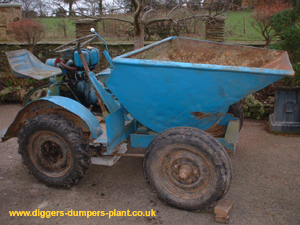 Thanks to Ben for emailing a picture of his Johnson 2HG dumper. It's in much better condition than mine! 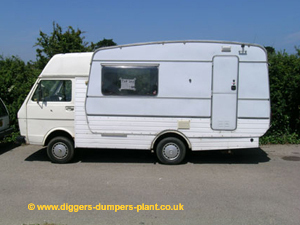 It never ceases to amaze me the lengths people will go to to build a camper van. Judging by the wheel arches this thing is rather tail heavy. Benny Scorpio towable digger from Kåre in Norway. He thinks the machine originates from Italy and was built around 1985. 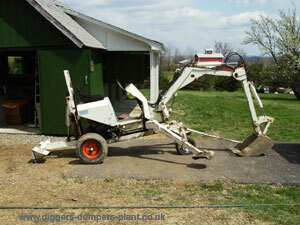 Jurop towable digger owned by Ross. Has a Acme engine. 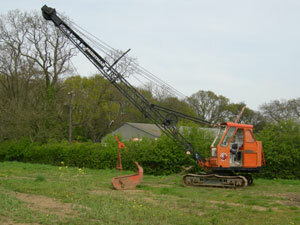 Any more information about this digger would be greatly appreciated. 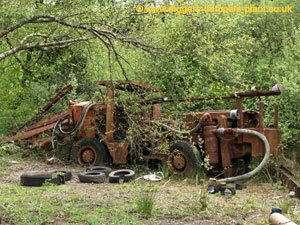 I spotted this old drilling rig and took a picture of it. It has some huge air pipes and hydraulic legs. Jean Michael from Belguim says it is a JOY and he saw one in Africa in 1970. 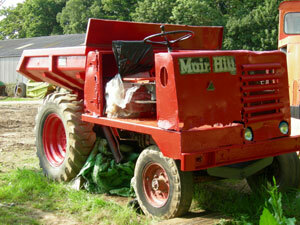 Muir-Hill 10B Dumper belonging to John. He has helped by identifying one or two other machines in the gallery too. As well as the Muir-Hill dumper John also emailed this picture of his Priestman Cub dragline excavator. 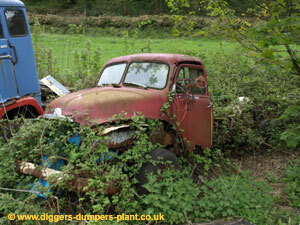 This old Bedford truck was hiding in the brambles near the drilling rig above.